A Sarasota firm has begun managing the Davidson Plaza parking lot, charging drivers $3.50 per hour unless they are dining in one of the restaurants or otherwise using services in the plaza. 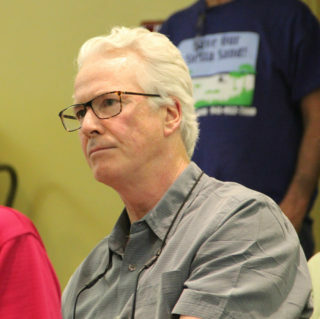 FL Parking Co. been contacting private property owners on Siesta Key about managing parking spaces at businesses that close after 5 p.m., Mark Smith of Smith Architects, chair of the Siesta Key Chamber of Commerce, told about 25 people during the Chamber’s first quarterly meeting. 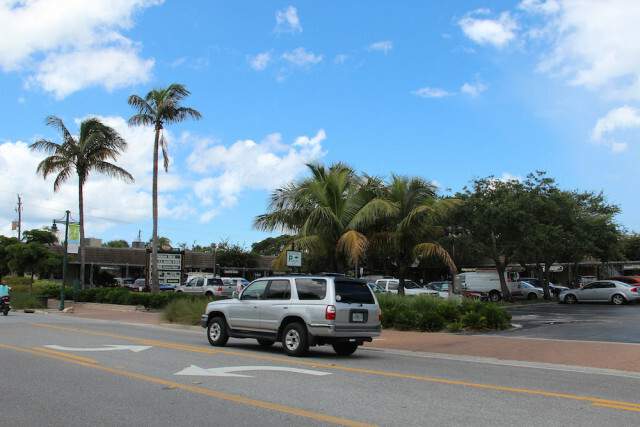 During the Feb. 15 session, he explained that FL Parking Co. was expected to begin the service in Davidson Plaza in Siesta Village that evening. The business plan called for the firm to put in a “pay station,” Smith said. “They say it’s portable; it only weighs about 600 pounds,” he added, eliciting laughter. The firm will have an employee on-site to ensure that people pay, Smith continued. This week, Smith provided an update for The Sarasota News Leader, noting that parking management is underway in the plaza in the daytime as well. Although he told Chamber members on Feb. 15 that he understood the firm’s on-site employee would put a boot on any vehicle whose driver did not pay and did not prove to be a Davidson Plaza customer, Asher Chappell of the firm assured the News Leader this week that that is not the case. Towing signs are still up, Chappell pointed out, but towing is not part of the plan. “We have it staffed,” he added of the lot, indicating that employees of the firm will handle any situation that arises. “We’re happy to be there,” Chappell told the News Leader on March 2. In fact, he said, when he was in the Village the other day, a county employee approached him to express her delight at the new system. Yet another potential site is the shell-covered lot next to The UPS Store on Beach Road, Smith noted. He knew a representative of FL Parking also had contacted Crescent Beach Grocery on Old Stickney Point Road, Smith added. Someone from the company even made a pitch to him about the few spaces he has available at his office, Smith noted. Smith Architects is located at 5032 Calle Minorga in the Village. Chappell confirmed to the News Leader that representatives of FL Parking are looking at three or four other locations to provide more public parking. He said he would be able to provide further details in the coming weeks. Sarasota County Sheriff’s Office deputies long have talked of how tourists readily pay $25 parking tickets, because they are so desperate to find places near the Village to leave their vehicles, even if the spaces they use are illegal. The Feb. 15 Chamber session was the first quarterly meeting proposed in the wake of the Chamber’s absorbing the Siesta Key Village Association (SKVA). Last year, after SKVA members voted to approve the Chamber’s taking over their organization, Smith talked of holding the quarterly sessions. No means had been provided in the past for general members of the Chamber to ask questions about anything, he pointed out. That first quarterly meeting was held at St. Boniface Episcopal Church, where the Siesta Key Association has its gatherings. Many of the attendees on Feb. 15 were long-time SKVA leaders. 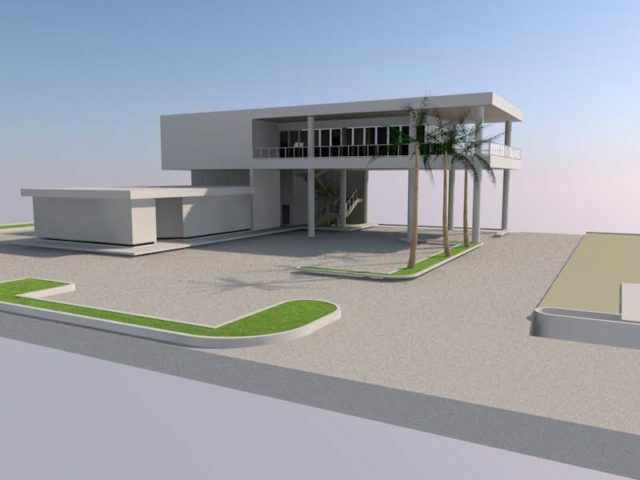 In what might be called the last bit of SKVA business, Smith announced that evening that the SKVA had decided to contribute $10,000 to improve the Siesta Village landscaping. “That will be happening soon,” he said. Russell Matthes, co-owner of the Daiquiri Deck restaurants, said definitively this week that the new location on Stickney Point Road will not feature rooftop dining. Given the height of the building on south Siesta Key, Matthes noted, the views will be great without tables on the roof. By the way, Matthes said the newest Daiquiri Deck Raw Bar should be open by the second or third week of May. The dining area will be above the existing CB’s Outfitters shop on the same site. The restaurant project is a joint venture with the Tush family that owns CB’s and the Daiquiri Deck owners. 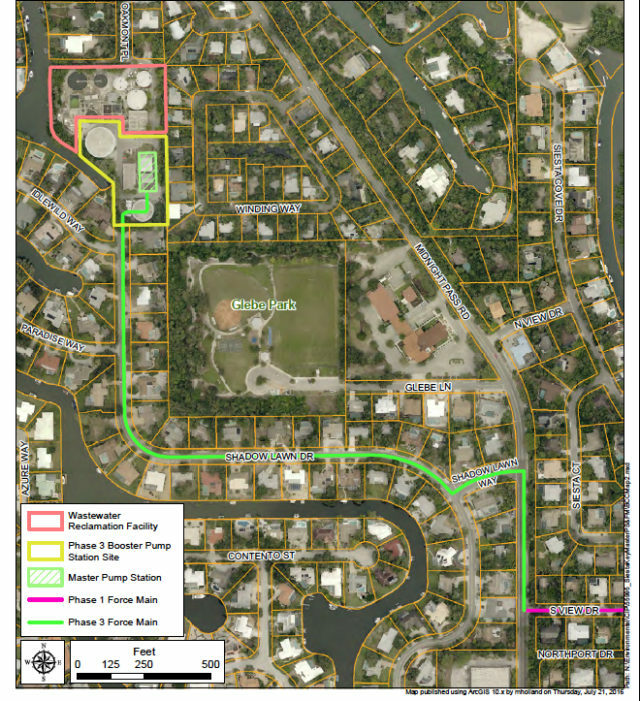 During a Feb. 17 update on major initiatives for the County Commission, Scott Schroyer, director of public utilities for the county, mentioned that the work to transform the Siesta Key Wastewater Treatment Plant into a master pump station would be completed in March 2018. 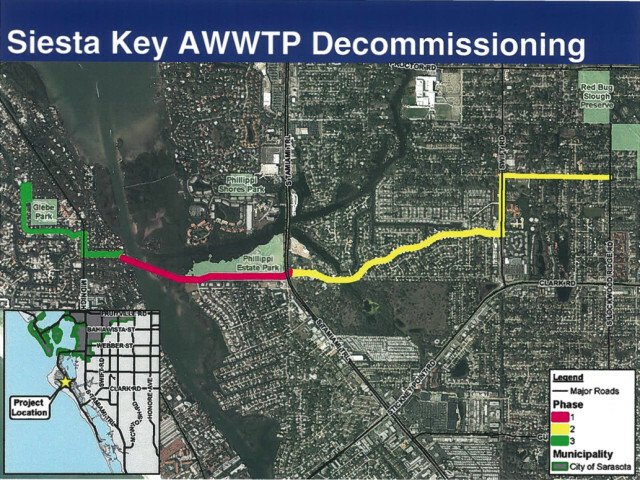 However, as recently as November 2016, Greg Rouse, the county’s utility asset manager, assured Siesta Key Association (SKA) members that the wastewater treatment plant would be decommissioned at the end of this year. The most recent update on the work that will lead to the decommissioning of the plant came from Billie R. Havey, the communications staff member in the county’s Public Works Department, on Feb. 24. Both the new water line and the new sewer main have been extended across the Intracoastal Waterway, she wrote. Additionally, the “Horizontal Directional Drilling (HDD) operation along South View Drive has begun. The contractor will be working Monday through Saturday,” she added, 10 hours per day, until that part of the project has been completed. During the Feb. 15 County Commission meeting, County Administrator Tom Harmer took a few minutes during the board reports for what might be characterized as a “show and tell” segment. He presented the commissioners photos of the bollards that the private property owners have installed on either end of the 357-foot segment of North Beach Road the board agreed to vacate — at the owners’ request — in a May 2016 vote. Those bollards and ropes were put up in late January, Harmer noted, with county staff having erected new signage in late December 2016 to make the public aware it has access to the road for any use except motorized vehicles. The signs say, “Welcome” and “Public Access,” Harmer pointed out. “Excellent job by our staff,” Commissioner Alan Maio responded. 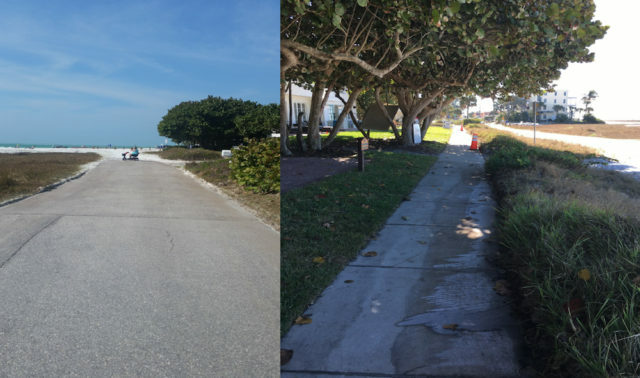 Maio, who represents Siesta Key as part of District 4, pointed out that — in response to comments he has heard — he had asked staff why the sidewalk along that part of Beach Road does not go all the way to the intersection of Columbus Boulevard. The reason, he learned, was the existence of the sea grapes and sea oats at the corner, which county staff did not want to disturb from an environmental standpoint. “So there’s a little bit of lack of sidewalk,” Maio said. As Harmer was wrapping up his remarks, Chair Paul Caragiulo explained that he and Harmer had talked about the extra 5-foot-wide path perpendicular to the Gulf of Mexico from the vacated road segment, which the property owners proffered during the May 11, 2016 public hearing. It was seen as another means of ensuring continued public access to the water. 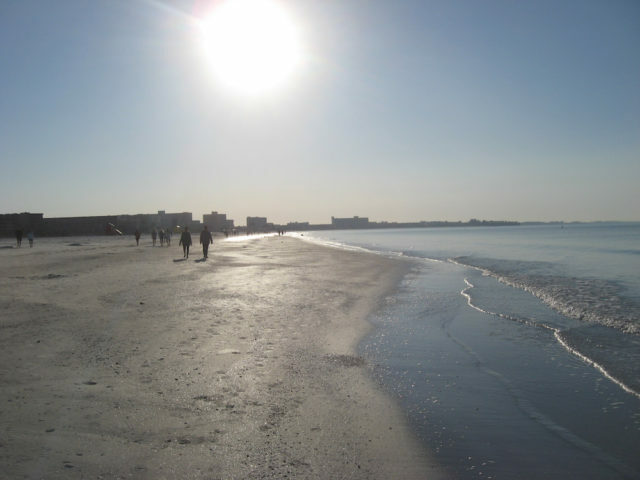 Because of the county’s public beach access near the southern end of the vacated road segment, Harmer explained, and all indications that the public has not hesitated to access the beach, staff believes no need exists for delineating the 5-foot path. “Thank you for that,” Caragiulo told him. 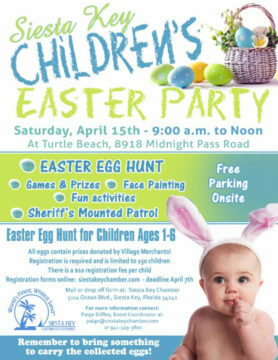 During the Feb. 15 Siesta Chamber’s quarterly meeting, Chair Mark Smith announced that the traditional Easter Egg Hunt will be held for the first time at Turtle Beach this spring. Traditionally, it was conducted at Beach Access 5, at the end of Ocean Boulevard, Smith pointed out. Chamber staff already has met with representatives of the county’s Parks, Recreation and Natural Resources Department, he continued, to work on the details of the new plan. Ann Frescura, executive director of the Chamber, promised that registration materials and a flyer would be ready for release to the public soon. Last week, the Chamber put out a call for volunteers to assist with the Easter Egg Hunt, which will begin at 9 a.m. and end at noon on Saturday, April 15. To fill out a participation form online, click here. A meeting of all volunteers will be held a week prior to the hunt, the form says. For more details, the notice advised interested persons to contact Helene Hyland at 685-2274 or email her at helenehyland@comcast.net. 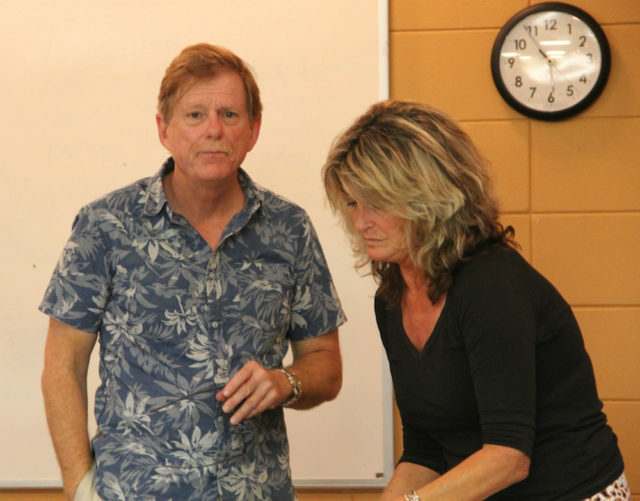 During the Feb. 2 SKA meeting, Vice President Catherine Luckner and Director Harold Ashby talked about the new Siesta Key Environmental Defense Fund (SKEDF), which the organization established to assist with its legal fees to fight the dredging of Big Pass. The SKA directors have stressed that the fund will be permanent, to allow the organization to pursue remedies in situations when the environment on the barrier island is threatened. By the end of that week, Ashby told the audience, the nonprofit planned to have a button active on its website to enable people to contribute to the SKEDF. 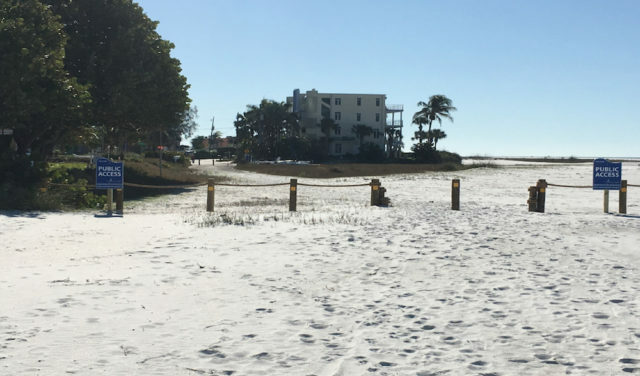 After that was in place, he said, the SKA was going to send a letter to everyone with a Siesta Key zip code, telling residents and property owners about the SKA’s efforts on their behalf to preserve the pass — and to try to raise more money. Checks made out to the SKEDF also are welcome, Ashby continued. They may be mailed to SKEDF, PO Box 35200, Sarasota FL 34242. All contributions are tax-deductible, he explained. The SKA sent out an email blast earlier to its members, informing them about the establishment of the SKEDF, Ashby noted. Luckner replied that the organizations have agreed to share expert testimony, as needed. “Why pay for it twice,” she added.